In her column last month, Heather Renshaw wrote this: "While this time of year is jam-packed with more nutty goodness than Auntie Gen’s famous fruitcake, Holy Mother Church, in her wisdom, encourages us to observe one day at a time by following the liturgical calendar." 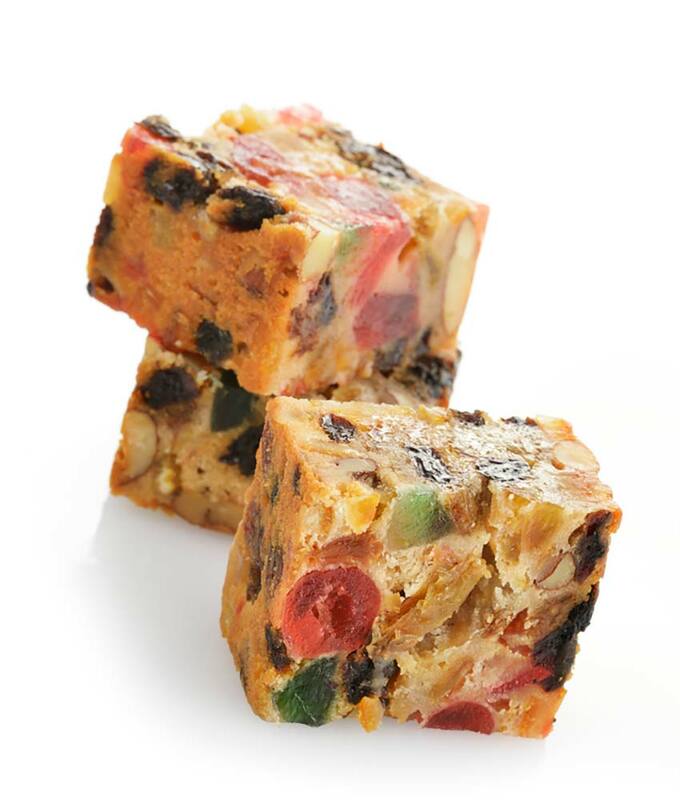 Well, we heard from Auntie Gen. Genevieve Ford sent her fruitcake recipe, which we share below. We note with nostalgia that it offers the option of using Crisco. cloves, nutmeg and salt. Blend alternately with applesauce. will become juicy and add. chopped. (1 # of candied fruit -without citron- may be used). Grease cake pans, dust with flour before putting in mixture. Decorate with walnuts and Maracino Cherries. Bake at 350 * in preheated oven... for one (1) hour. has become liquid, take pastry brush and brush the top.